Back in February, DoReDos won Moldova‘s national selection O melodie pentru Europa 2018 with their infectious, upbeat track “My Lucky Day”. In May, the trio will represent their country in Lisbon in the Second Semi-Final, and the pressure is on for DoReDos to outdo SunStroke Project, who finished third on the Grand Final scoreboard in Kyiv. As we wait for them to write Moldova’s story in 2018, let’s take a dive into the My Lucky Day lyrics! DoReDos left Chisinau as the undisputed winners of O melodie pentru Europa: besides the jury vote, they also won the televote. Prior to that, “My Lucky Day” won both the Wiwi Jury and our Moldova 2018 poll. Part of the success of the song, besides the catchy melody written by the legendary songwriter and producer Philipp Kirkorov, comes down to the lyrics penned by John Ballard. The Swedish lyricist who wrote many a lyric for Ace Of Base was also behind the successes of Sergey Lazarev’s “You Are The Only One” and Demy’s “This Is Love”, so he isn’t new to the Eurovision Song Contest. The uncomplicated My Lucky Day lyrics focus on the meeting of two souls and making “music” together. The metaphor for love continues with the rhythm that drives the pair wild and with the rolling and turning and burning which comes with that passion. It’s interesting to note that, while the syntagm “my lucky day” only features once in the lyrics — and not in the chorus — DoReDos decided to make it the title of the song, which is a novel approach. Bogdan Honciuc is our Romania and Moldova correspondent. You can follow him on Twitter (@stingovision) and Instagram (stingovision). You can also keep up-to-date with the latest Eurovision news by following our team on Twitter (@wiwibloggs) and Instagram (wiwibloggs) and by liking our Facebook page. 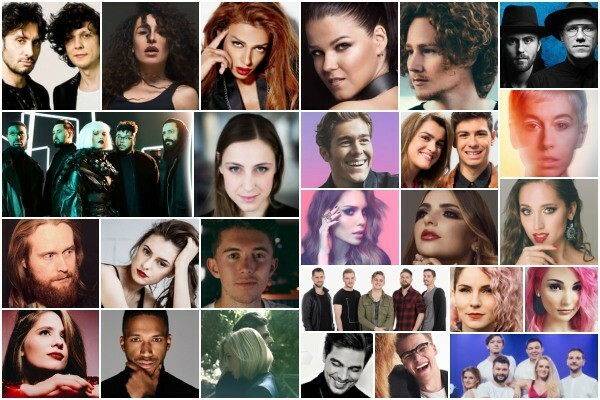 POLL: What is your favourite Eurovision 2018 entry from the European Union? I still like their other song called FunnyFolk (2016) than this one. My Lucky Day sounds like something I’ve already heard of before. John Ballard is the Sophie Carle of lyricists. This song is so bad and so good at the same time that you have to LOVE it. Eurovision has became so much like current music in the last few years and this is like your old classic eurovision coming from nowhere and saying: “B*tch, i´m here!”. A song like this is needed in the final every year. i’m so excited to see their staging bc they say it has never done before so i’m just ??????? Moldova 2018 is going to do Moldova 2017. “When bodytalk ist magic” is hands down my favourite line from this year’s contest. I come to this site for comments like this one! “Bodytalk” reminds me of Olivia Newton John’s song PHYSICAL. Now that song is some “bodytalk”! This song grows on me. I just hate the staging where they bring out the rolling mirrors. With any luck, the Lisbon staging will be completely different from the Chisinau staging.